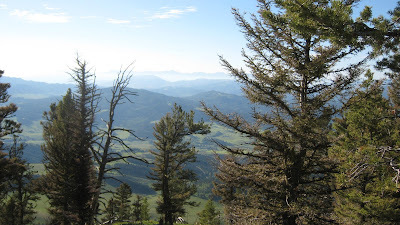 Spent yesterday around the Big Sky area. 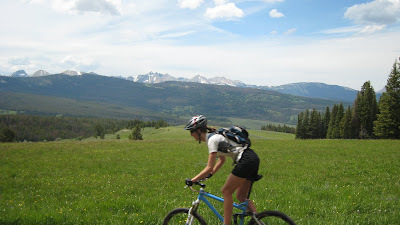 We rode an old favorite up Taylor Fork just south of Big Sky. 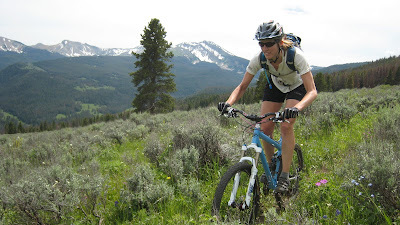 This ride, Little Wapiti to Sage Creek Loop (map) aka Slide Creek, has a few miles of flat road riding along the river towards the Wapiti Trailhead. Then it climbs some double track (oil can?) to the top of the ridge. The single track decent is most definitely excellent, as was the beer and food post ride. The last few miles get heavy horse use. 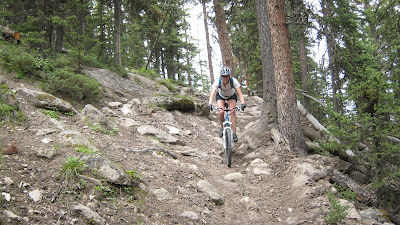 While they do turn the trail into a freeway here, they also expose lots of rocks that make for a fun decent. This is steeper than it looks. After the ride Kona helped sniff out some local brews and live music at the Big Sky Beerfest. We ran into some friends and enjoyed another spectacular Summer evening drinking localish beer and listening to the jams. It was a nice break from the normal stop at Half Moon Saloon or The Corral which are down along the river and highway 191. Me getting getting a foursome. Cheers!! !